Welcome to the World’s Largest Photo Shoot & All Inclusive Networking Experience in Negril Jamaica! This Information will keep you up to date with important event details and itineraries. Please take the time to carefully read through this carefully. HOW TO GET THERE: Via Shuttle from MBJ to Negril. A valid Passport is required for International travel to Jamaica. A valid Driver License or government issue ID is also needed to complete proper model and photographer releases so please bring both. Your luggage and ALL personal belongings are subject to search during customs clearance. To reduce your chance of delays, PLEASE PLAN ACCORDINGLY. Familiarize yourself with Jamaican laws and protocols before your trip. Brazil, China, Costa Rica, Colombia, Czech Republic, Denmark, Ecuador, France, Greece, Hong Kong, Hungary, Japan, Martinique, Monaco, Panama, Poland, Portugal, Russian Federation, Slovak Republic, Spain, South Korea, Ukraine, Uruguay, Venezuela. Austria, Belgium, Chile, Denmark, Finland, Germany, Iceland, Ireland, Israel, Italy, South Korea, Liechtenstein, Luxembourg, Mexico, Kingdom of the Netherlands, Norway, San Marino, Sweden, Switzerland, Turkey, United States of America. After clearing customs, proceed to the "bus/taxi area" at the airport’s main lobby/exit. All participants are responsible for transportation to and from the Montego Bay Airport (MBJ). VIPs have pre-paid for this service. Tell the shuttle coordinators your destination is: “Hedonism II Resort” in Negril. The fee is estimated to be $20-$30 USD for a shuttle. Be mindful of your luggage and belongings at all times. 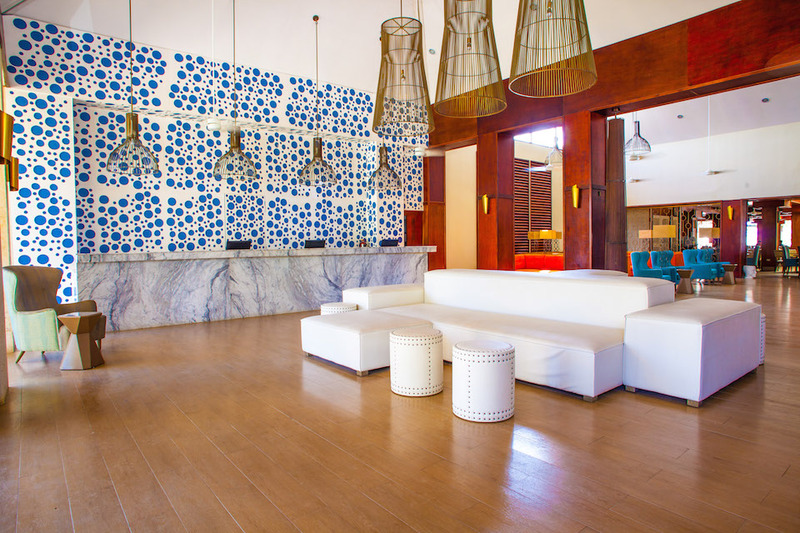 Once you have arrived at The Resort, you may check-in at the Front Reservation Desk. 2 Forms of ID! Passport is required for International travel to Jamaica. Wardrobe: Several Swimsuits, cover ups, resort wear and accessories including jewelry, sunglasses, hats, etc. Nails: For Hands and Toes: No loud color polishes. Neutrals, nudes and blush only. Body: All personal hygiene items (toothbrush, hairbrush, deodorant, etc.) Body oil for swimwear shoots. Sunblock. Avoid spray tan and unnatural tanning skin colors. Beauty: Bring any needed makeup, lashes, etc. for all of your shoots. Packing: Bring enough for One Large Suit Case. Do Not Overpack! LODGING. Be respectful of your roommate(s). You may be in a room with one or two other people. Respect their personal items, hygiene, and personal space. Packing: Clothing for flights + days in Jamaica, Bathing suit(s), Hat, Sunglasses, Sunblock, etc.